Many of us will associate the mundanity of work with a dull, lifeless office, stripped of any soul or personality, but for many employees that couldn’t be further from the truth. Many studies over the years have shown a link between productivity and the environment in which we work, proving to employers the world over that the addition of a foosball table or a state of the art coffee machine really isn’t too much to ask for, surely? If you’re reading this in the office, firstly, get back to work and secondly, prepare to turn green with envy. Here are some of the most desirable offices around the world. 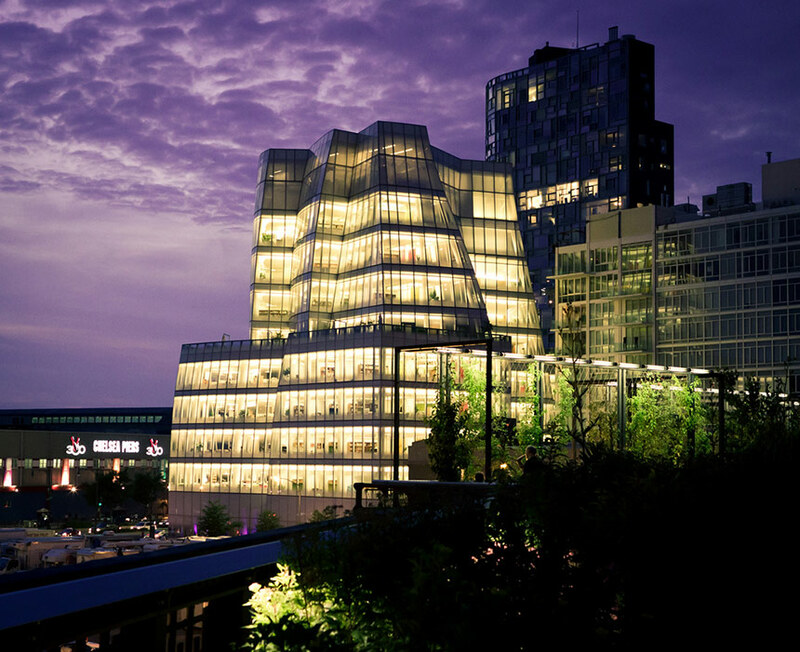 The IAC office building in Manhattan has been turning heads since its construction in 2007. Translucent walls, free-flowing work environments and a whole lot of natural light ensures this an office environment people want to be part of. The building is as striking from the inside as it is from the outside, with its bizarre curving structure. When you consider the building is formed of odd curves and narrowing structures, it’s no surprise to hear that the workspaces are customisable, appearing in all shapes and sizes. The building comes alive at night as the interior lighting remains switched on and the building’s shell can finally be seen in all its glory. The communal spaces go beyond cafes and kitchens here, as a 118ft long video wall dominates the public lobby and striking views of the waterfront promenade are there to be enjoyed solely by employees from the upper floors. There’s no doubt about it, Innocent Smoothies are the pinnacle of cool. Wander into their communal areas and you’ll feel like you’ve walked into the far-fetched dream of a 21-year old who was given a million dollars and asked to create their ideal office scenario. Picnic benches, fake grass, bunting and ping pong tables ensure the brand’s too cool for school (and work) vibe lives on throughout every inch of the building. There’s even a library for employees to gather for some fruit and veg based banter. 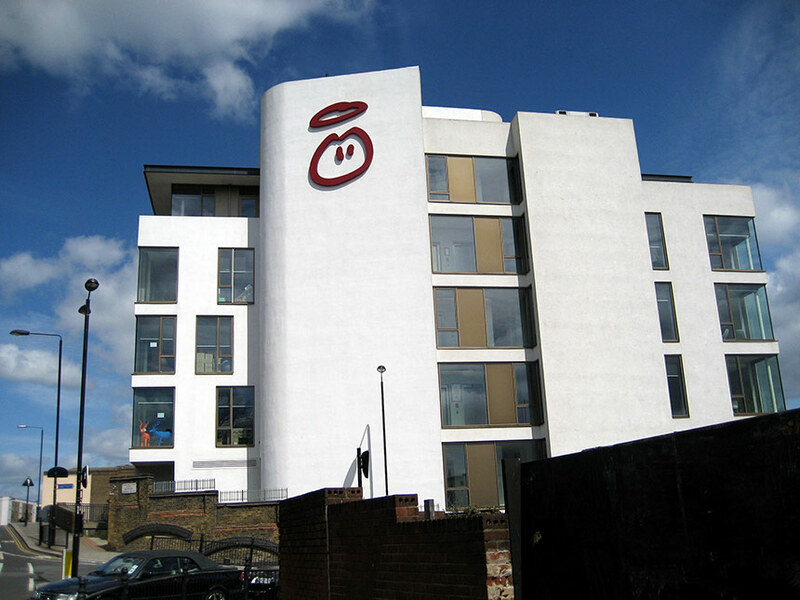 Innocent were one of the first companies in the UK to truly capture the hearts of a health-conscious generation through their unique conversational tone of voice. Everything stems from creativity and an honest approach at Fruit Towers, (as their headquarters are affectionately known). Whilst they might not have unlimited smoothies on tap or fake grass to hand, these offices in Bangalore have some of the best views in all of India. Overlooking a far reaching Central Park, 7 acres in size, this beautifully landscaped stretch of land is jam-packed with enough colourful shrubbery, water features and green spaces to brighten up even the gloomiest of days in the office. Created for a better-work life balance, something the modern world struggles with, the business park in which the offices were built is set at the heart India’s newest smart city where bicycle trails and dedicated walking routes all lead to back to the city’s state of the art homes. That’s more home-time and less work-time. Relaxation and recreation are the main aims here, with a multiplex cinema, smart cafes, jogging tracks and retail stores all footsteps from the office. The perfect balance between business and pleasure has been struck in Bangalore.